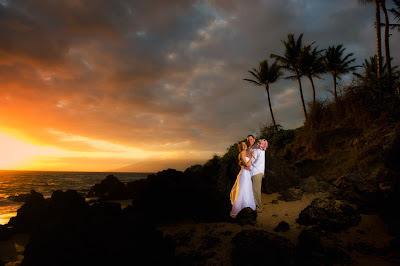 The holidays are a great time to plan your Maui wedding. 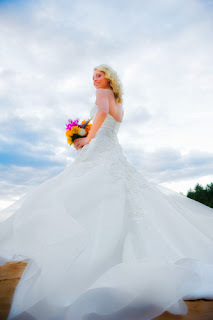 We take our photography as seriously as the planning, providing our couples with professionally produced imagery including the high resolution fully retouched digital images along with full reproduction rights. Brandy and Nick wanted a relaxed photo shoot so we took them to the Maui Tropical Plantation for a pre-wedding photo session before driving down to Makena for the ceremony. These types of packages are easily arranged and we have many different locations to choose from. For a free, no pressure, no hassle consultation, call us. 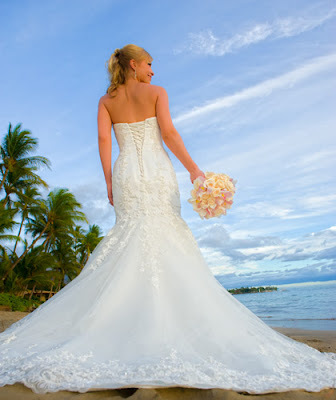 1.800.745.0344 or just click onto our website; Marry me Maui Wedding Planners. We were interviewed on Australian radio about the recent appeals ruling by the 9th circuit court regarding beach wedding rules implemented by the state of Hawaii several years ago. We have written previously about the rules and since they are now the law of the land we thought we'd follow up. 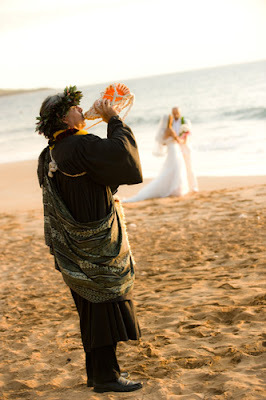 As Maui beach weddings have become more popular, the state of Hawaii decided to limit, to a certain extent, the types of props wedding planners could use during a ceremony. The new rules also demanded that Maui Wedding Planners obtain liability insurance. 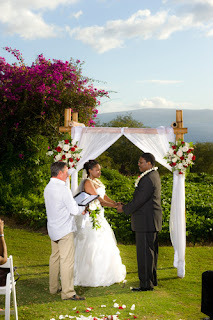 The insurance requirement is a good one for couples planning a Maui wedding. It protects them and the state and is something you might want to ask your planner about. If they don't have the insurance, they can't legally perform a wedding on Maui's beaches. 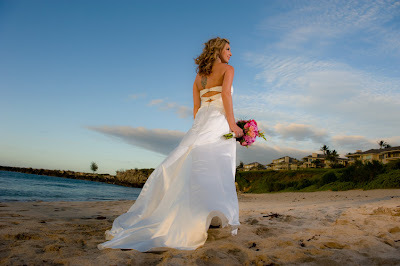 Marry Me Maui Wedding Planners only retains the services of the most seasoned and creative professionals on Maui. 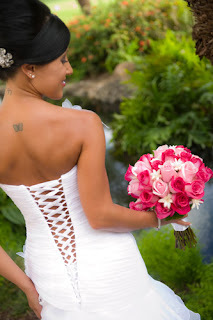 Whether it's gorgeous one of a kind floral arrangements from Maui's best floral designer, a semi private wedding venue complete with ponds and streams, a manicured oasis and delicious cuisine, or killer Maui Wedding photography, Marry Me Maui can hook you up. Our company is family owned and operated offering professional, personalized service with Aloha. We offer reasonably priced packages for all price ranges and our website includes all the pricing with no hidden fees. Believe it or not, once in a great while it rains here on Maui. I'm not talking about the passing showers we all get used to but a Kona storm that rolls in and stays for a week wreaking havoc, flooding roads and cutting off power. Fortunately, it happens rarely and we can usually find a beach, in Lahaina most likely, where there's little to no rain. We're flexible like that. Tanya and Stace faced such a dilemma the other day. It was raining in Kapalua so we moved the wedding to Lahaina Baby beach and had a spectacular afternoon, no rain, soft light, calm waters. Tanya and Stace also brought their baby Brooklyn with them so it was all totally apropos. 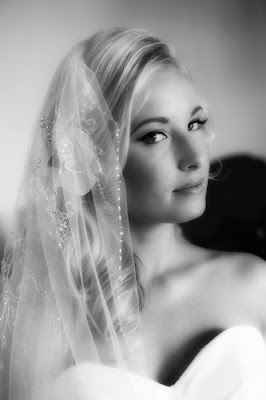 Here's a couple of photos from their wedding. Thanks guys for being flexible and rolling with it.